A terrifying seven feet of muscle accompanied by a flying sawblade, the berserker Tyreesius Black, better known as Reese, and his faithful cyborg raven companion Hex tour the world in search of bones to break, necks to slit, skulls to cave in, and drinks to consume an unhealthy amount of (for the former, at least). An ex-Syndicate descended from Arthur Black, the Syndicate’s founder, herself, Reese exhibited great potential towards becoming its next Boss. Alongside this, he was a wrestling and boxing prodigy, clearly showing great combat potential, but there was one crucial thing he lacked: a care in the world for anything they stood for. Despite already overshadowing him in nearly every aspect, he even tormented his younger brother Gareth for believing so passionately in the Syndicate. When its last leader passed away, Reese and several others took it as an opportunity to revolt, going on the run from the empire’s vast reaches. Before Reese left, however, he saved a poor bird he just happened to witness an experiment being conducted on, attempting to turn him from raven to machine. 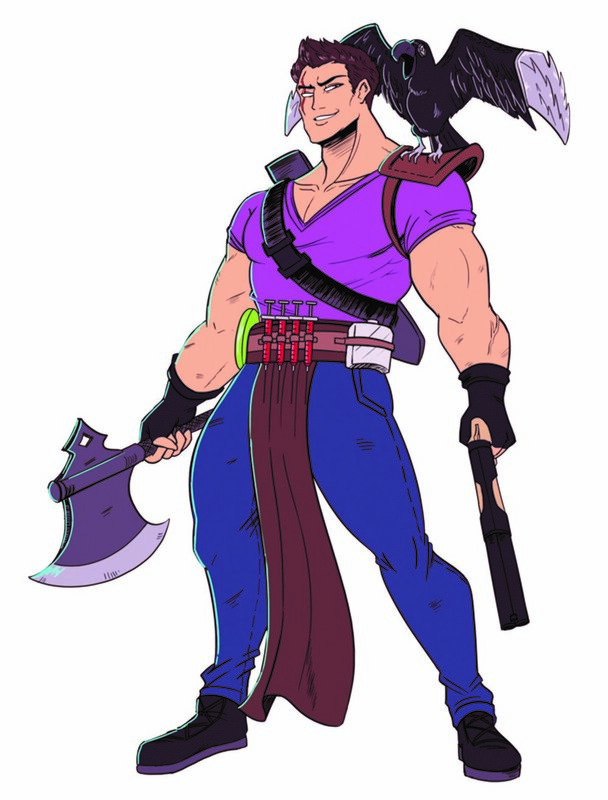 Nicknamed Hex, the raven joined along in his adventures and has since become inseparable from his side (unless it involved an opportunity to tear up their enemies). With one possessing uncanny strength, the other unrivaled speed, and both a bottomless bag of tricks, they’re an intimidating sight to any that cross their path, and a horrifying one to those that piss them off. Unlike most, Amber was unafraid to warmly invite the personifications of brutality to fight by her side. If the other Guardians weren’t enough to strike fear into the hearts of the Syndicate, two very angry and very powerful deserters certainly will be.